The Liberty 3 inch Domed Ringed Pull adds contemporary refinement to your cabinetry. The die cast zinc body comes in a venetian bronze finish. The pull features a 3 inch center-to-center rear-mount installation. The Liberty Everly Collection offers a transitional design, providing a nice combination of both contemporary and classic qualities. Designed to coordinate with the Delta bathroom faucet and accessories, the square base of the post has an elegant, traditional feel while the twist feature adds a modern touch to the collection. 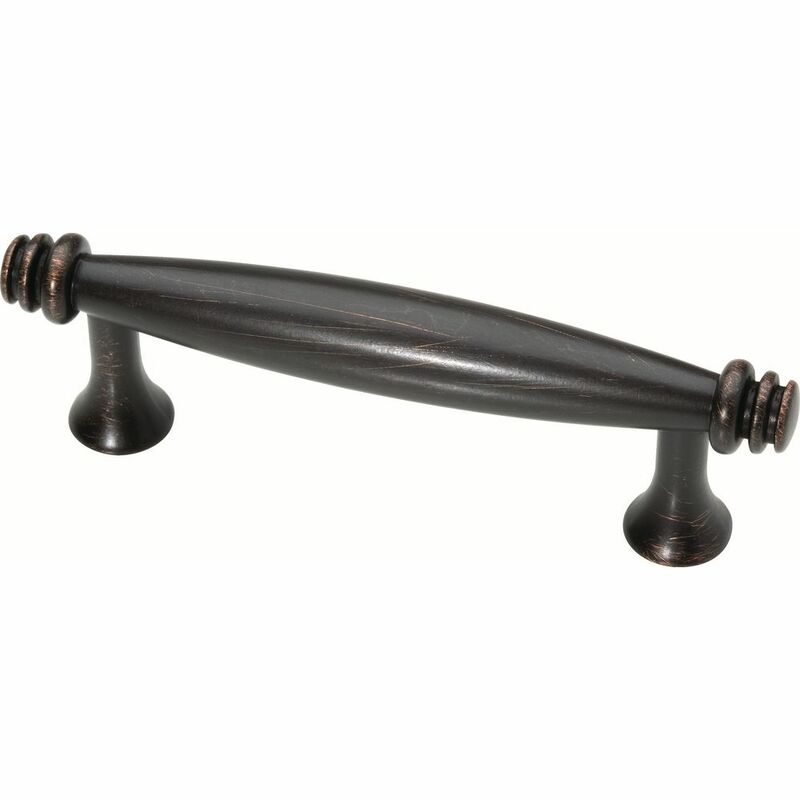 Crafted from zinc die-cast for durability the pull is in a venetian bronze finish to accent any cabinetry or furniture. From Liberty Hardware, the Mandara Collection provides the perfect finishing touch for your Kitchen, Bathroom, or DIY project. Designed to coordinate with the Delta Mandara bathroom faucet and accessories, the Mandara Collection features a simple design with subtle reflections from the glamorous art deco period. The rich Cocoa Bronze finish offers a warm, rustic look and feel. Circles & Scrolls 3 inch (76mm) Venetian Bronze Domed Ringed Cabinet Pull The Liberty 3 inch Domed Ringed Pull adds contemporary refinement to your cabinetry. The die cast zinc body comes in a venetian bronze finish. The pull features a 3 inch center-to-center rear-mount installation. Circles & Scrolls 3 inch (76mm) Venetian Bronze Domed Ringed Cabinet Pull is rated 4.9 out of 5 by 9. Rated 5 out of 5 by AveJoe from Great match for the Classic Circles knob. I just... Great match for the Classic Circles knob. I just wish that they carried it in the store like the knobs. Rated 5 out of 5 by Kevin from Drawer pulls matched existing pulls in my home.... Drawer pulls matched existing pulls in my home. Rated 5 out of 5 by HomeDepotCustomer from Handles are well made and firm. Great look!... Handles are well made and firm. Great look! Rated 5 out of 5 by SF from Excellent quality and fast shipping. Very pleased. ... Excellent quality and fast shipping. Very pleased. Rated 5 out of 5 by Commuter from Nice finish and great overall look. ... Nice finish and great overall look. Rated 5 out of 5 by Callie17 from Beautiful Handles These handles were perfect for my DIY kitchen cabinet remodel. They look wonderful on my new antiqued cabinets.